A water well is a hole drilled into an aquifer with a pipe, screen, and pump to pull water out of the ground. There are many different types and uses of wells. Public wells supply drinking water to municipalities. Private or domestic wells can be used for a variety purposes, such as irrigation, drinking water and industrial uses. The Groundwater Foundation's Wells and How they Work has more information on well construction. Wellowner.org provides information regarding Water Well Basics and offers free online Well Owner Lessons. The inside of a water well can be fascinating, as seen in a 40-second video taken with a camera lowered down Austin Community College's Edwards Aquifer monitoring well. To watch the video, click on the image (on the left side of this page) of the Northridge Campus building which houses this well and download the .wmv file. The numbers in the center of the video indicate the depth in feet below the land surface. Video provided by GeoCam, Inc. for Austin Community College. The joint Texas Water Development Board (TWDB) and Texas Department of Licensing and Regulation (TDLR) Submitted Drillers Reports (SDR) Database includes over 270,000 reports submitted by water well drillers since 2001. For wells drilled as early as 1820, the TWDB Groundwater Data Viewer includes approximately 139,000 water well reports in the TWDB Groundwater Database. Data from these wells, and the wells in the joint TWDB/TDLR System, can be viewed in an interactive map application. Viewer Help for this system is available. The Texas Commission on Environmental Quality (TCEQ) Water Well Report Viewer allows users to geographically locate and view copies of at least one million scanned water well reports submitted by drillers since 1960. For public drinking water sources, the TCEQ Source Water Assessment Viewer displays not only water wells and surface water intakes, but also provides information such as well depth and drilling date. The TCEQ Texas Drinking Water Watch displays detailed information on public water systems, including their drinking water sources, and users can obtain information such as drilling date and pumping rate for the public drinking water wells. Groundwater Conservation Districts (GCDs) also maintain records and registrations for water wells specific to their jurisdictions - contact your local GCD for assistance in obtaining up-to-date information on water levels, pump levels, and any recent changes made to your water well. Most GCDs are members of the Texas Alliance of Groundwater Districts. You can click on "Membership/Current Members/District" to get specific GCD contact information. A local licensed water well driller may also be familiar with nearby water wells. In addition, the United States Geological Survey (USGS) National Water Information System has historical records from water wells across the country and this online database can be searched for detailed location, depth, aquifer, water level, and water quality information for selected water wells in Texas. For more information, see the TGPC's What are the Statewide Water Well Databases? FAQ. Private wells do not serve public water supply systems and are largely unregulated. For domestic water well owners there are no federal or state requirements for monitoring drinking water quality as there are for public water supply systems. Likewise, there are no “right to know” reports informing well owners of the quality of their drinking water and no requirements for treatment. 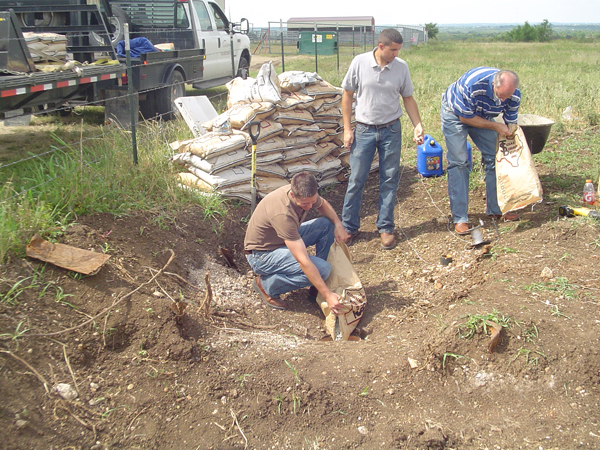 Proper well practices are crucial to protecting water quality and well longevity. EPA's Publication "Drinking Water from Household Wells". EPA's Private Drinking Water Wells Page gives information on testing private wells, protecting private well water and homeowner guides for private drinking water wells. National Small Flows Clearinghouse's Pipeline article "How to Keep Your Water 'Well'"
The Texas Well Owner Network (TWON) program is for Texas residents who depend on household wells for their drinking water needs. The Private Well Class provides free online training to private water well owners across the nation. Tex*A*Syst "Reducing Contamination by Improving Wellhead Management and Conditions"
Wellowner.org provides information regarding Water Well Maintenance. If a well is located in a groundwater district, sometimes the district can provide testing services or resources. See the Texas Alliance of Groundwater Districts for information. Wellowner.org provides information regarding Water Quality and testing. Railroad Commission of Texas (RRC) regulates oil and gas industry wells. There are several ways a well can become contaminated. Toxic material spilled or dumped near a well can leach into the aquifer and contaminate the groundwater drawn from a well. Polluted water can leak through the walls of poorly maintained or shoddily constructed wells. Wells can get contaminated from septic tanks placed too close or abandoned wells in the area. Flood events can also impact the quality of well water. Well owners can protect themselves from contamination in several ways, such as preventing pollution in the aquifer and maintaining proper well practices. The first step in preventing well contamination is education. We hope these links help. 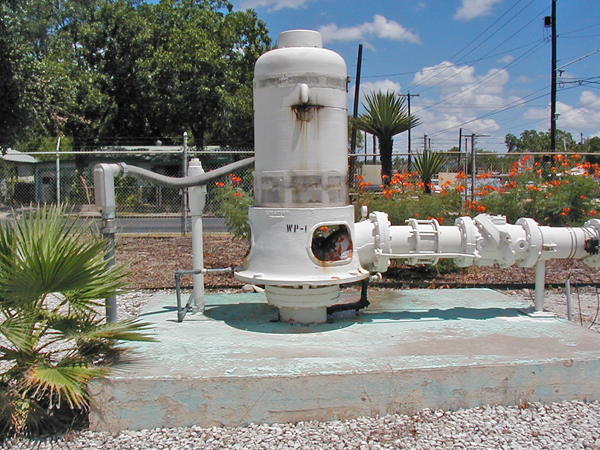 Public wells serve public water supply systems and are regulated by the Public Drinking Water Section of the TCEQ. These public water supply systems must have at least 15 service connections or serve at least 25 individuals at least 60 days out of the year. TCEQ's Consumer Confidence Reports (CCR) Page. CCR's are annual water reports from community water supplies. Texas Rural Water Association is a statewide nonprofit educational and trade association. TWDB's Clean Water State Revolving Fund (CWSRF) Loan Program provides loans at interest rates lower than market rate to governmental entities for water infrastructure projects. National Drinking Water Clearinghouse provides assistance to small communities on drinking water issues. American Water Works Association assists water supply professionals with information and resources. Abandoned wells are a threat to well water and public safety. Abandoned wells provide a direct channel for contaminants to pollute the aquifer below. Contaminants that enter a well are introduced directly into the aquifer with no opportunity for natural filtration by soils or geologic materials. 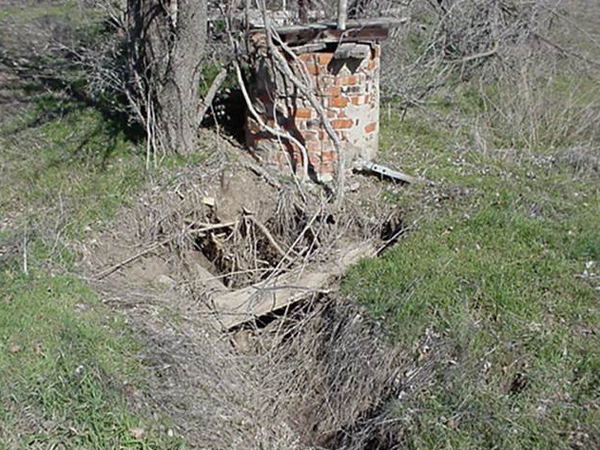 Abandoned wells also present the possibility that a humans or animals can fall into the unplugged wells and suffer injury or death. Texas law makes the landowner responsible for plugging abandoned wells and liable for any water contamination or injury. TGPC's "Landowner's Guide to Plugging Abandoned Water Wells"
The Texas A&M AgriLife Extension Service on-line Bookstore offers a number of publications on abandoned water wells such as "Plugging Abandoned Water Wells" (B-6238) and "Capping of Water Wells for Future Use" (L-5490). Free electronic downloads of these publications (add an "e" in front of the publication number) are also available after setting up an account. Technical and financial assistance are available to landowners to address resource concerns through the U.S. Department of Agriculture (USDA) Natural Resources Conservation Service (NRCS). Water well decommissioning is an available conservation practice. For more information, please see their Well Decommissioning Conservation Practice Standard or contact a USDA NRCS conservationist at your local USDA Service Center.